Our world is changing rapidly, information is everywhere at all moments. Time to adsorb information and store in in our own memory is missing more and more. How to transfer information in such a way that that it is stored in the memory of the users! The solution is simple. Make sure that the information is interesting and absorbing it is fun. This was the starting point when developing the “Virtual tour through the feed mill process”. Last year many of our clients visited a new feed mill built by Van Aarsen, showcasing our best available technology, engineering practices and machines. They came back with the reaction that this is really the feed mill of the future, impressive and educational. Not everyone will be able to visit this feed mill. From sales perspective it is a challenge to show our customers how they can benefit from new innovations and how our machines can contribute to feed quality, reduction of total cost of ownership and energy savings. At the same time we met the Poultry Expertise Centre. They were looking for a new and attractive way to educate their students about the internal process of a feed mill. Having similar challenges out of a different perspective the idea of an interactive training tool with “the feed mill of the future” in the lead arose. 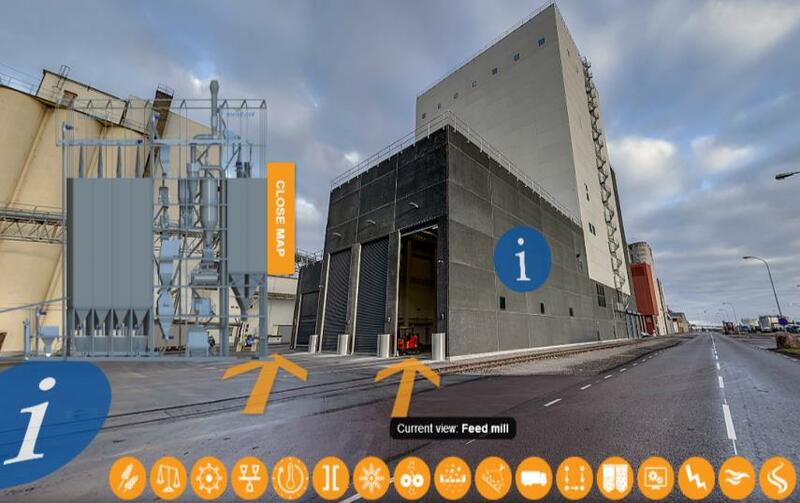 We linked together to establish this training tool called the “Virtual tour through the feed mill process”. By combining our strengths and cooperating closely together the result is a fantastic tool. An amazing walk through the feed mill of the future. Ready to use! As van Aarsen we are delighted to contribute to this tool. It will be used by the Poultry Expertise Centre in their training programs. We will be using it in the personal contact with our customers. We want to be a Vital link to the feed chain. As such we hope that many students will use this tool to learn more about the feed mill process and become part of the future of the agro feed chain all around the world. Visit us at the EuroTier – Stand 21J13 We were happy to see you at the EuroTier in Hanover.